Metro-Link Express for Gandhinagar and Ahmedabad (MEGA) Company Ltd. has published Advertisement for below mentioned Posts 2018. Other details like age limit, educational qualification, selection process, application fee and how to apply are given below. How to Apply: Applicants should fill up the required information online only on our Company website through the link under http://www.gujaratmetrorail.com/careers/ “APPLY ONLINE” along with necessary attachments in a merged single PDF file containing CV, payslips & testimonials etc., on or before 31st January, 2018. Metro Link Express for Gandhinagar and Ahmedabad (MEGA) Company Limited released a notification for young dynamic and motivated candidates. Gujarat Metro Rail Recruitment 2017 invites application for the post of 606 Station Controller, Maintainer & Multiple Vacancies on contract basis. Interested candidates may apply online before 30 April 2017. So Apply Soon. Metro-Link Express for Gandhinagar and Ahmedabad’s abbreviate form is MEGA. Ahmedabad Metro is an under construction mass-permeation rail system for Ahmedabad and Gandhinagar in Gujarat, India. Consolidated Pay: Rs. 24,900/- to Rs.50,500/- Per Month. Apart from the pay, other benefits will also be paid as per the Company Policy. Age may be relaxed for exceptional candidates having relevant experience in Metro Rail Project. 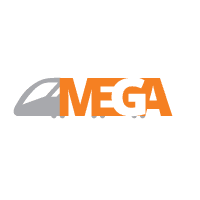 About: Metro Link Express for Gandhinagar &Ahmedabad Co. Limited (MEGA) is a joint venture of Government of India and Gujarat Government in order to lay the foundation of Metro Rail Service in the state of Gujarat especially between Gandhinagar and Ahmedabad. This project mainly aims at safe, fast and eco- friendly transportation services to the public at affordable rates.